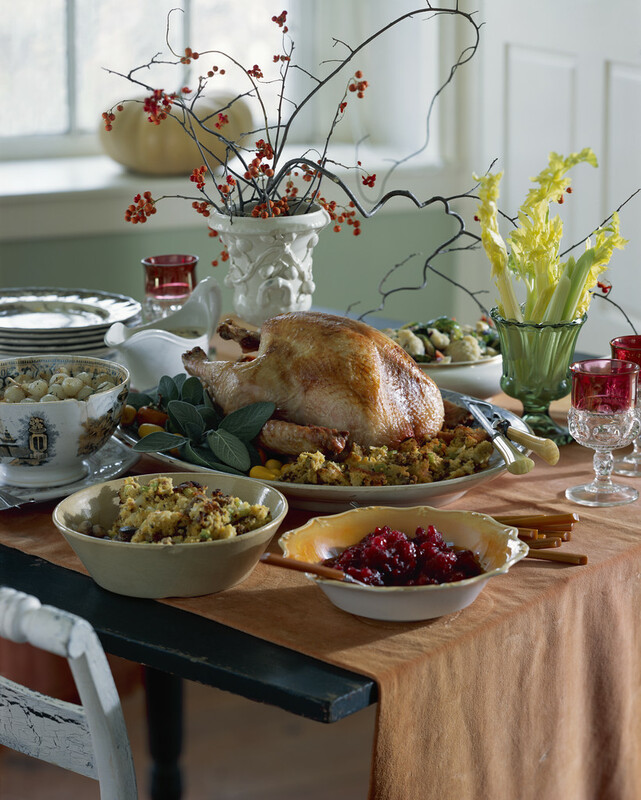 On Monday I posted some tips for not overeating during Thanksgiving. The good news is that Thanksgiving and Christmas are JUST ONE DAY. That means if you do overeat a little, it’s not the end of the world. It’s one slip up, that can be reversed if dealt with immediately. How is that possible, you wonder? 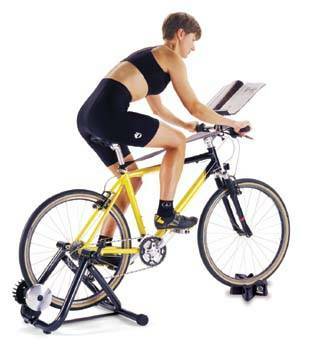 Basically with continuing your exercise. I think the biggest struggle a lot of people have with the holidays is the fact that they Fall Off the Wagon. I’ve done this too. I stop counting calories, I eat things I normally don’t eat, I skip workouts because of parties, out of town guests, traveling, etc. The trick is to KEEP AT IT. Don’t fall off that wagon because it’s so hard to get back on it. Christmas cookies, foodie gifts, holiday baking…. Try and fit in some exercise like your normal routine dictates. If your normal routine is to run twice a week at lunchtime, do it. If your normal routine is to go to the gym after work, do it. The holidays can be stressful. Not enough time and being pulled in a million directions but we must take care of ourselves. I know for me, if I don’t get my exercise I will become stressed and irritable. I won’t have that outlet for my stress which normally cures my irritably…so without that I will eat for comfort, drink more, eat things I wouldn’t normally want. I’ve already planned my workout routines for the coming holiday season. I found out my gym will be opened restricted hours on Thanksgiving so I fully plan on going in early Thanksgiving morning to get in what I can. The gym is not open on Christmas day but if the weather holds up, I hope I can squeeze in a run sometime. 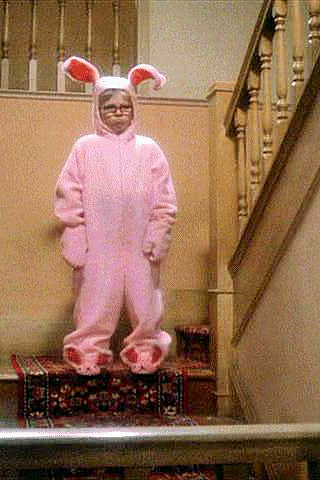 If not, I will hop on the bike trainer in the living room and pedal away while I watch A Christmas Story. My hope is that the gym will be emptier and emptier as the holidays progress. 😉 More room for me! Seriously….don’t be one of Those People that only exercises in January and February because of New Year’s Resolutions! Let’s start a tradition of Staying Sane During the Season and exercising!! QUESTION: Is exercise the first thing that goes away during the holidays? How is this year going to be different for you? Good for you checking Thanksgiving schedule. I’m trying to get back into spinning or any regular routine. I’m not looking forward to how packed the gym’s gonna be after Jan 1 but at least I can go in off hours. I just have to GO! I might be changing my workout routine Jan-Feb in order to avoid the crowds! Great job! I want to do that next year. 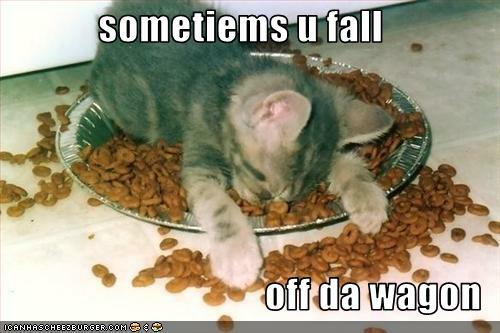 hehehehe I love that pic of the kitty fallen off the wagon! Too cute! Great post, great reminder that just because it’s a holiday doesn’t give us a free pass on workouts!! 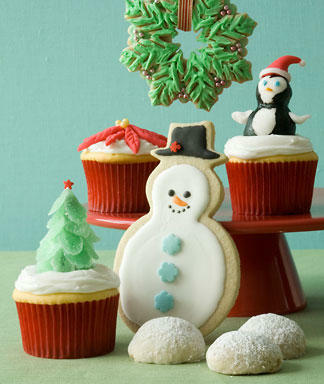 Mmmm, I love the photo of the cupcakes and cookies! Oh …. wait. Heh. I usually don’t have trouble continuing to exercise. My problem is TOTALLY throwing caution to the wind when it comes to sugary treats! This year, I intend to impose a limit. This is the first Thanksgiving/holiday season where I’m actually in a regular exercise routine. I don’t think that will change much, or will try hard to not let that happen at least! I am doing a 5K the night before Thanksgiving, and am going to eat “normal” on Thanksgiving – not as a reward for the 5K, but because I want to. I need to learn moderation so I can keep this lifestyle forever. I think that’s a great plan Emily. Good luck on the 5k! My husband and I are going to run a Turkey Trot 10K on Thanksgiving morning. Yay! It will be a good way to remind myself to stay focused on being healthy, and if I do cave then at least I’ve already burned some significant calories! The same rule applies for those people who stress about summer and not shedding the weight. My suggestion to them was to exercise ALL year round and then when summer comes you won’t have to worry about losing weight or lack thereof. I was looking at your images at the top and WOW. Congratulations to you. Great! I’m glad your parents have agreed to healthy swaps. I’m totally in! I think this will be my only way to maintain during the holidays. I think I will be able to resist some of the treats, but I know I’ll give in sometimes. So keeping up with my workouts is key! I’m right there with ya! Excellent plan! Maintaining is a great goal. It’s my goal!